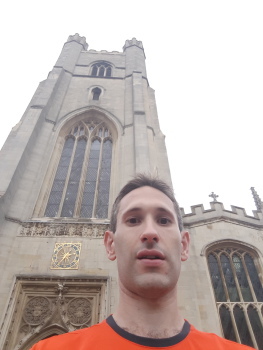 The conductor ran from St Bride's, Fleet St, London, arriving at Great St Mary's, Cambridge (95km, taking 9h58m) shortly before the start of the peal. The peal was rung as part of the College Youths country meeting in Cambridge, and specially arranged to commemorate ringing superstar Benjamin Annable, past Master of the Society. 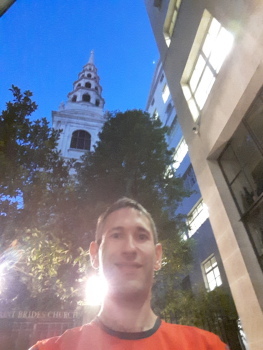 Annable rang at St Bride's, and walked from London to Cambridge to conduct the Society's first ever 'out of town' peal: Grandsire Caters at Great St Mary's on 25 May 1727. Last updated Saturday, 16 July 2016 at 06:04:43. 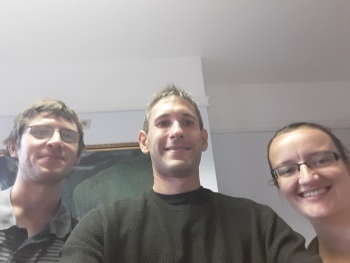 First submitted Friday, 15 July 2016 at 22:17:09 by Philip J Earis. 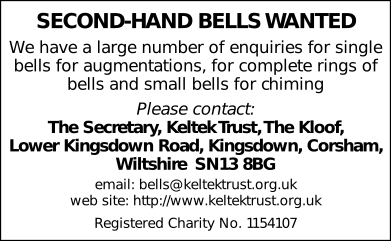 Sent for publication in The Ringing World on Monday, 18 July 2016 at 12:49:39, and printed in issue 5495, page 844. This performance has been viewed 1922 times.